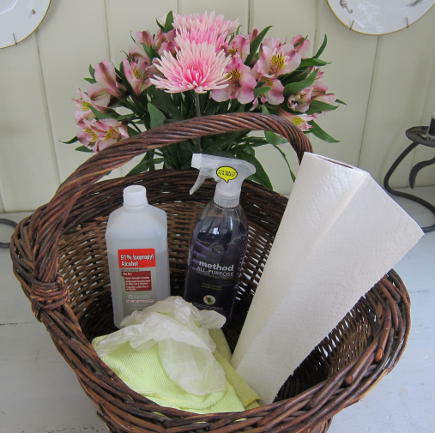 Room-by-room spring cleaning tips for removing dirt and germs from often overlooked surfaces. I confess I’m a bit crazy-clean when it comes to my house. But I’m also practical because I don’t have a week to focus on pulling it apart for cleaning then putting everything back. So this year, I compiled some really simple Spring cleaning tips that won’t take long to do. This is not about home-made products or basic maintenance like deep-vacuuming furniture and draperies, dusting book cases, window blinds or light fixtures. It’s a room-by-room alcohol-based approach to getting rid of hidden dirt and germs on common surfaces. It requires very little equipment and can be completed in a few hours in all but the largest homes. Putting my must-haves in a basket makes it easier to take them from room to room. A cleaning product for surfaces (my current fave is Method All Purpose natural surface cleaner though I also use Mrs. Meyers). 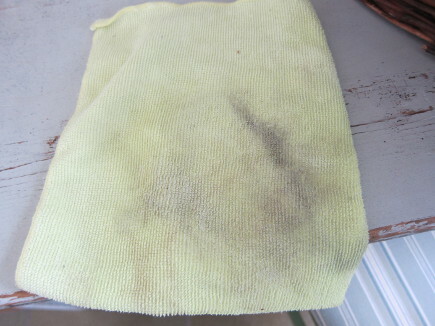 A microfiber cloth absorbs alcohol very well for cleaning. First, I wet a microfiber towel then generously add alcohol. 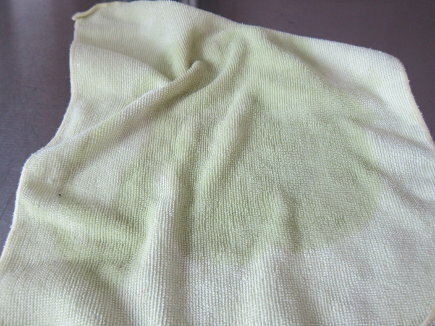 The microfiber towel holds the alcohol well but it tends to evaporate quickly so it may need rewetting frequently (if the towel stops feeling cold, time to remoisten). Method surface spray is my back up for any extra-dirty surface. I use paper towels to dry things off, if needed (not usually needed since the alcohol evaporates – nice!). I use disposable non-latex gloves which are inexpensive and protect my hands from the drying effects of the alcohol. But any lightweight glove will do. I begin in the room with the #1 most-often-used entry door for the house. For us, that’s the garage door in our mudroom (don’t forget to give the garage door opener button a wipe-down). Then I work on a room-by-room basis on each floor. 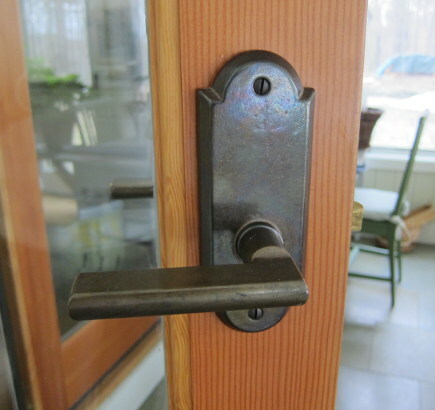 Everyone touches door handles which need cleaning but can be overlooked. Knobs, bolts and locks on both sides of every door. Door frames above and below the knobs on each side to remove fingerprints and smudges. On/off switches on table lamps. All cabinet knobs & handles. All closet and drawer handles. Remote controls for all TVs & electronics including VCRs, game consoles and streaming devices. Thermostats and burglar alarm panels. Remote controls for all TVs & electronics including VCRs, and streaming devices. Car and house keys, key fobs. Cell phones & land-line phones & dial pads. All electronics control panels & keyboards including TV, stereo. Other electronics including ipods, tablets, cameras & gaming consoles. Bar or drink refrigerator handles. Tops, front and sides of desks/work tables. Tops, backs, seats of wooden chairs. Don’t overlook vent hood control knobs and timer buttons. Handles on dishwasher, refrigerator, oven and small appliances (coffee pot, toaster). Sink faucet, sprayer and other sink fixtures. Microwave/speed-oven doors and touch pads. 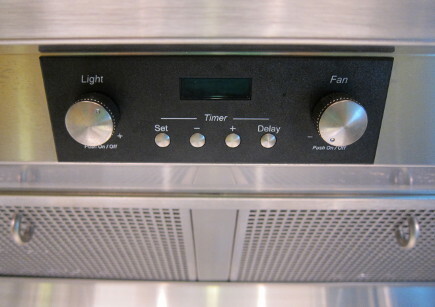 Vent hood and timer control knobs/buttons. Apron (front and sides) of dining tables, backs and seats of wooden chairs. 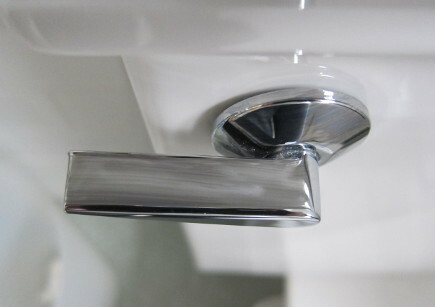 Disinfecting a toilet handles takes less than 30 seconds. Bottoms and edges of mirrors & medicine cabinets. Shower door handles (inside and outside). Additionally, rinse out trash baskets. with hot water a squirt of liquid soap and alcohol (or ammonia). Wiping down the front hall banister produced the dark marks on this towel. Woodwork on archways or doorways. Vacuum cleaner controls and wands. Wiping down these frequently used surfaces takes me just a few hours and gives me peace of mind. I also believe it helped keep us both free of colds and common illnesses throughout this past year.